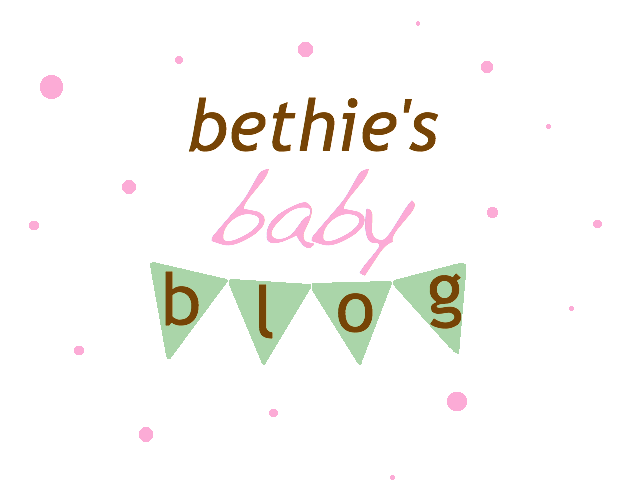 Bethie's Baby Blog: Martini Time! 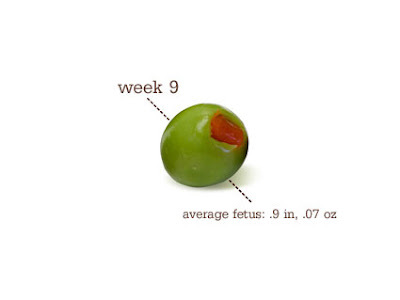 In honor of my green olive olive-sized baby, I am going to celebrate today with a martini. Mmm. Just kidding of course, but I have had some interesting conversations recently about drinking during pregnancy. We are currently visiting family in California and I had a funny conversation with a relative about when she was pregnant thirty some odd years ago. Her exact words were, "I used to get blasted!" The interesting thing is that her kids are both super geniuses and have no signs of alcohol damage. Another relative said that she drank and smoke during both her pregnancies, and again, she has extremely bright and successful kids. Now, I certainly don't think this is a sign that drinking and smoking is okay during pregnancy (fetal alcohol syndrome is a really horrible disease) but it is fascinating to me how much things have changed only in the last thirty or so years! Many people are parents, and many parents are thirsty. Yet too many parents allow their infant sons and daughters to lie about idly: napping, drinking milk, and whatnot. Why not put them to work? 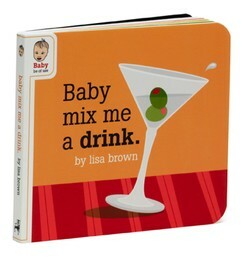 Observe how tots enjoy the shapes and colors, all the while learning how to mix a variety of basic cocktails. Thanks, Baby! For those interested they've also written "Baby Fix My Car", "Baby Do My Banking" and my personal favorite, "Baby Plan My Wedding."